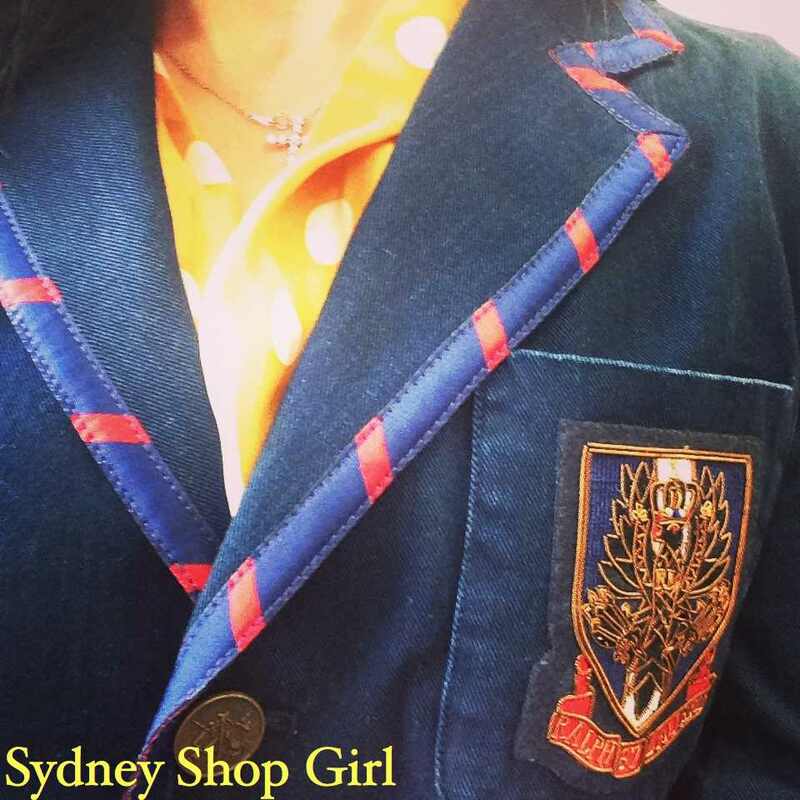 Sydney Shop Girl: Preppy Friday. Watching Sydney Wake Up. It's officially cold. The car thermostat clocked 5C on the drive to work this morning. The park next to the racecourse was covered in a thick layer of frosted fog. Out on the track, a few brave horses and their riders cantered along briskly in a cloud of icy exhalations. 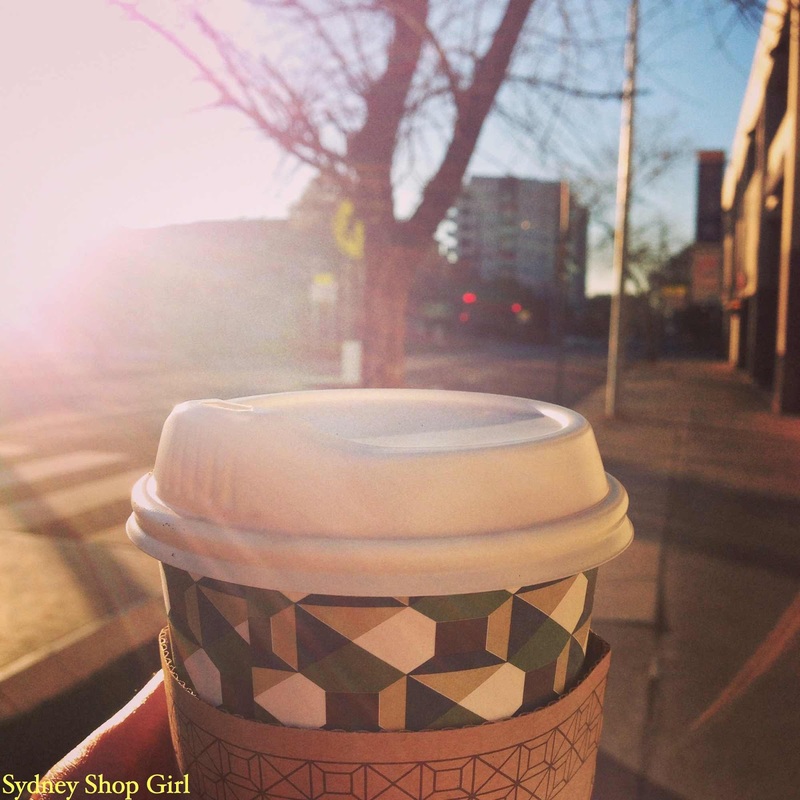 Sipping a piping hot coffee whilst walking briskly on a beautiful winter's morning is one of life's simple pleasures. And when it's a Friday morning? Even. Better. Preppy Friday. Blazer - Ralph Lauren, scarf - Marni at H+M. My friends in America are celebrating the Fourth of July today with fireworks, picnics or long weekends at the beach. I was with you in spirit today with this blazer and jaunty scarf. I hope you're having a lovely day with family and friends. Happy Birthday, America! Yesterday was my day off which I usually try and spend well away from the traffic. However, duty called and I had to get my car serviced. The 'Service Overdue' light was getting harder to ignore and it was only a matter of time before the nice lady who narrates the GPS would begin her instructions with a subtle reminder to get my car to the nearest service centre, pronto. Not really, but you never know. Getting across the city in the morning wasn't too bad actually. I made good time and watched Rushcutter's get ready for another day of panel beating and car fixing. I joined the local tradies for coffee at a swish cafe tucked in between a fancy art gallery and an even fancier car dealership. Outside the cafe, people made their way to offices, to walks or boot camp at Rushcutter's Bay or onwards toward the irresistable pull of Potts Point or the Cross. 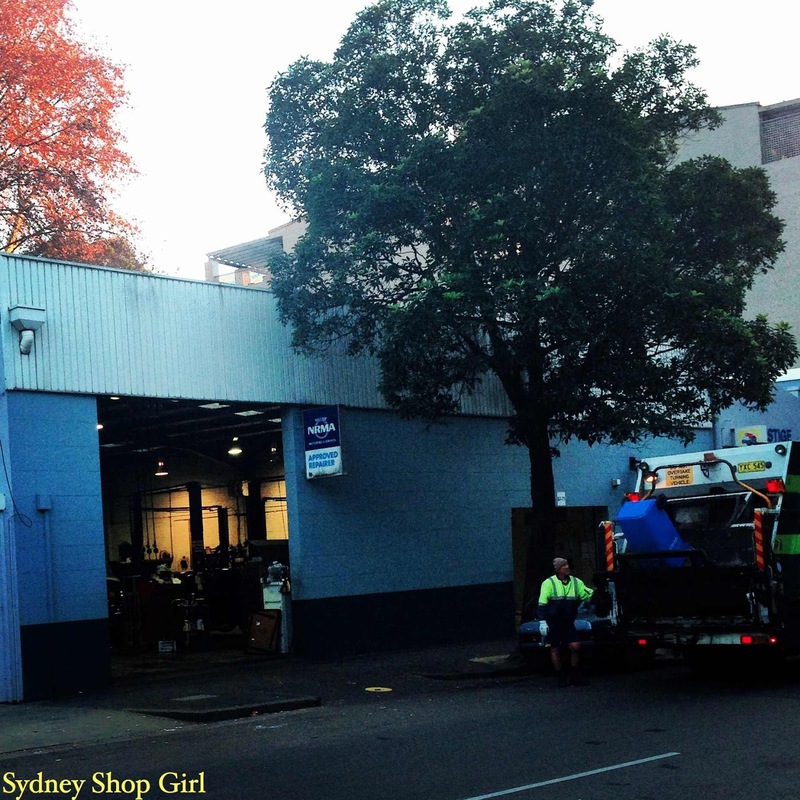 Getting the chance to see different parts of Sydney wake up on a weekday morning always fascinates me. The industrial and semi rural landscape of my drive to work features both trees that change with the seasons and heavy, lumbering trucks that do not. I like how nature plays out its cycle of the seasons to a soundtrack of rumbling engines and chugging then screeching trains. My home turf in the early morning is an oasis of order and calm. Rows of tidy houses whose lights start flicking on around 5am, the showers hissing soon after. If you happen to be walking outside, you can often smell shampoo and hear the bouncy voices of breakfast radio. 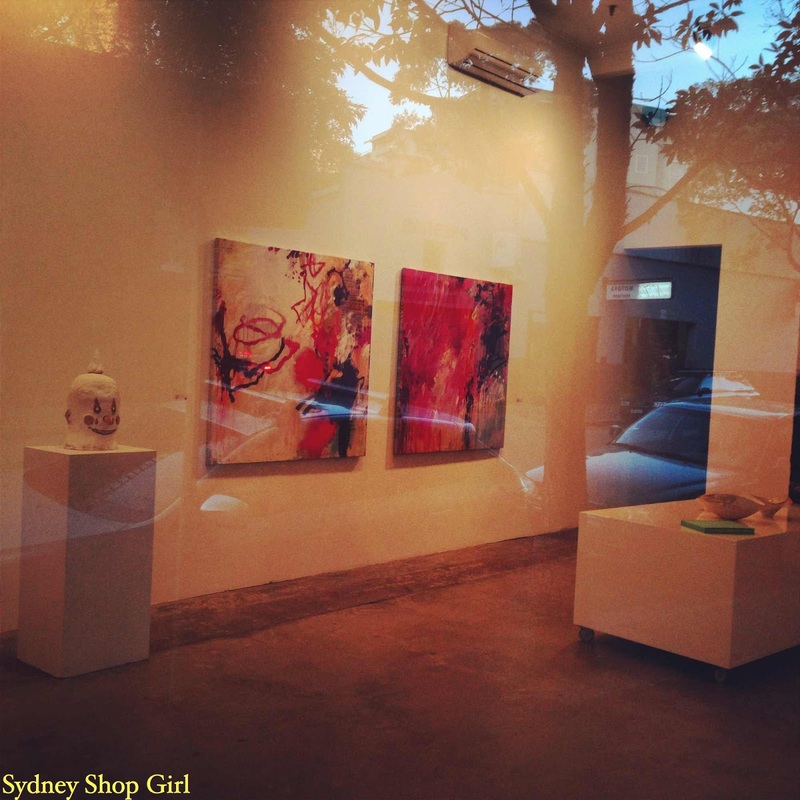 Over in the east, it's the smell of espresso gushing onto the street from impossibly chic cafes. Light just doesn't shine from windows, it's designed to flatteringly illuminate everything behind them. But at the end of the day, it's the same wherever you may be across this eclectic city. Happiness is seeing the sign for the turn off that's going to be taking you home and away from the craziness of home time traffic. 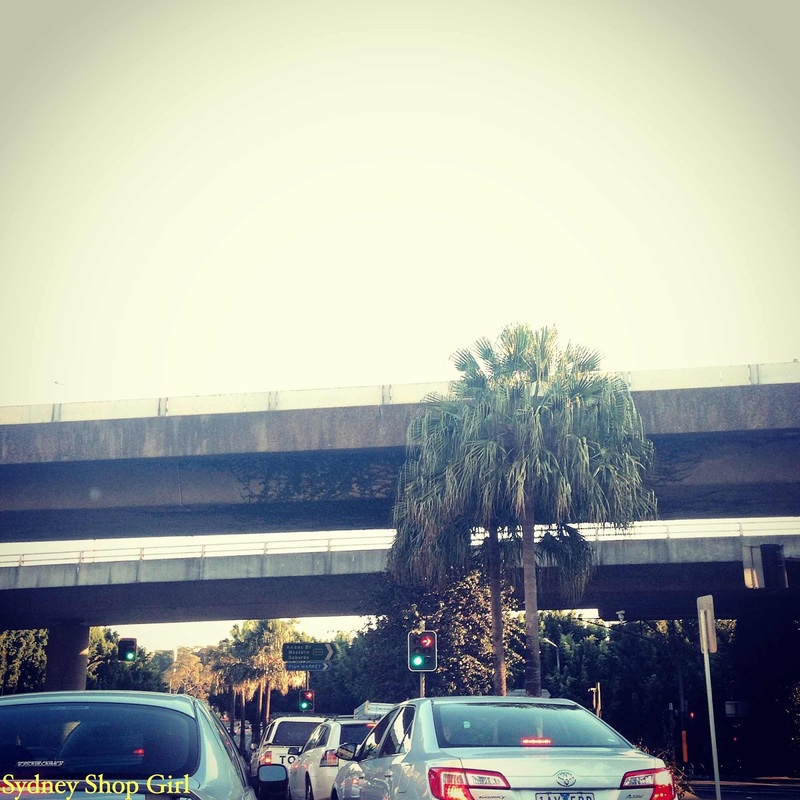 As the years pass and I find myself generally feeling more and more like a Sydneysider, I remain convinced that you actually have to be born here to possess the calm and nerves of steel required to get you around the East and across the city. Cross city adventures are all well and good for during the week but I'm going to be staying local this weekend. Familiar footpaths and roads I know like the back of my hand. It's nice to slow down once in a while and just see what the city has in storage for you isn't it? Sometimes in our hustle and bustle, it's so easy to forget that there are so many sights and happenings to be thankful for.